The Easy Ladder?, usable by everyone, is designed especially for elderly, infirm or arthritic individuals. The gently sloping ladder eliminates back and arm strain, and fits flush to pool wall and floor. 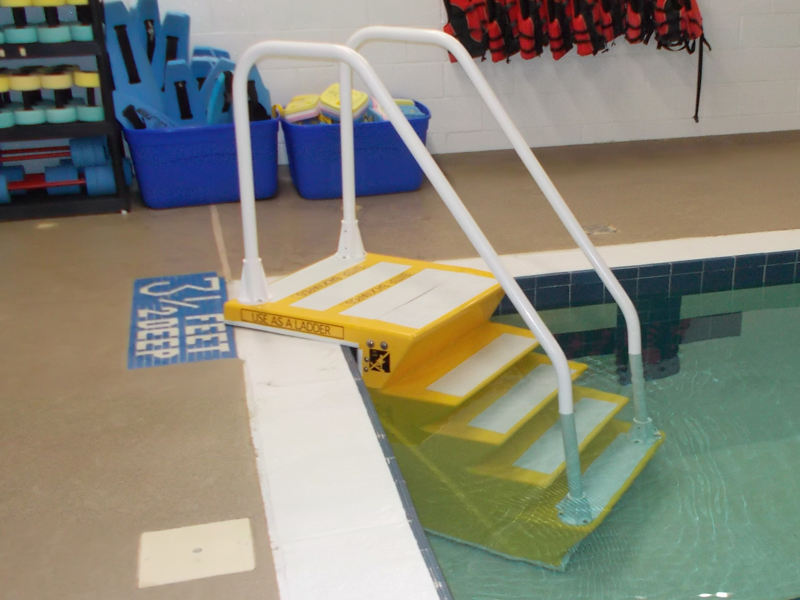 Factory trimmed to fit each pool, the Easy Ladder can be placed in a corner or side position. Because of its unique design no anchoring or pool modifications are needed. The ladder is easily removed. Vinyl pool model available. Durable fiberglass and stainless steel construction, no installation or maintenance costs, no moving parts to wear out. Comes complete with dolly for removal. Weight: 170 lbs.